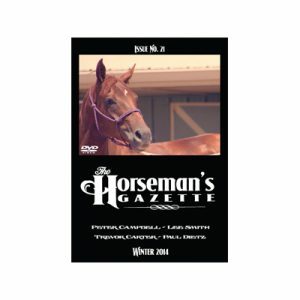 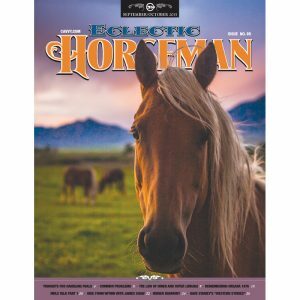 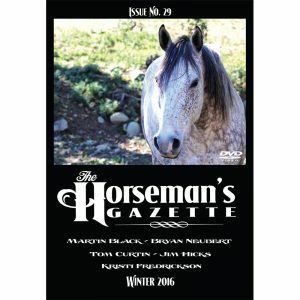 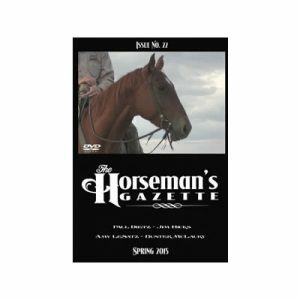 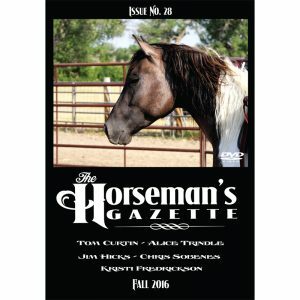 The Horseman’s Gazette is a quarterly video-series and complement to our print magazine, The Eclectic Horseman.Watch the familiar faces from its pages, listen to their voices, and witness their expertise with your own eyes and ears. 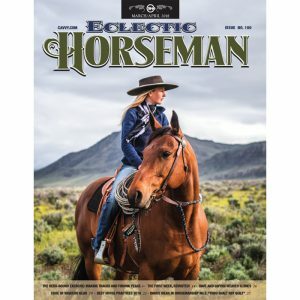 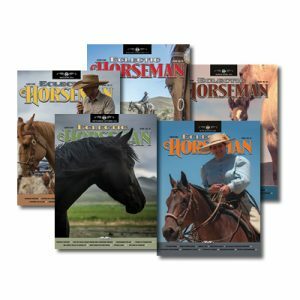 We’ll also introduce you to new horsemen and -women who are out in the world working for the horse, educating riders to a deeper understanding and respect for ways of working with horses that work with their nature, not in spite of it. 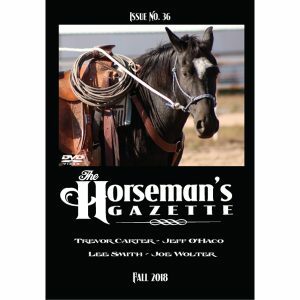 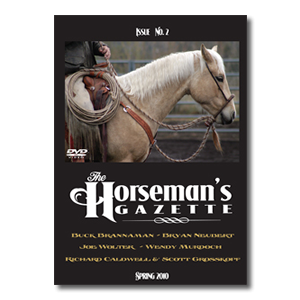 In this third issue you will see a troubled young mare be worked with a flag, lean an exercise for developing consistent circles at the lope, and learn how to ride with a balanced head and neck. 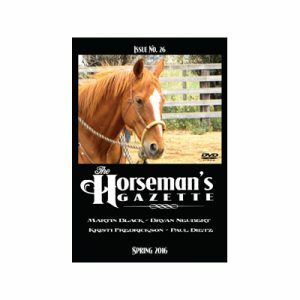 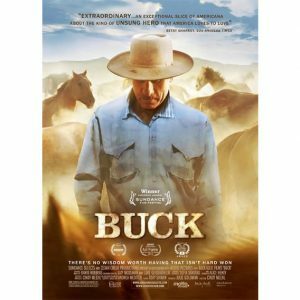 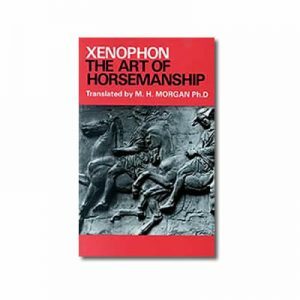 Chock-full of information for all students of horsemanship, it is your seat on the fence to how the best trainers in the business work with their horses and their students. 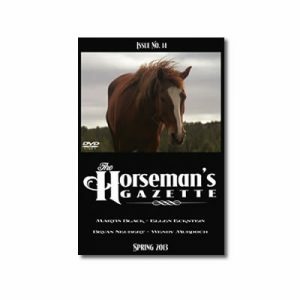 Using the technology in a way you can view the table of contents and “flip” to whatever story grabs your interest to study, we’ll give you 3 hours of solid instructional material as well as thought-provoking insights to keep you busy until the next issue. 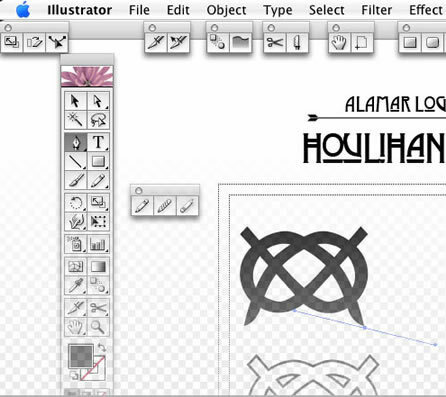 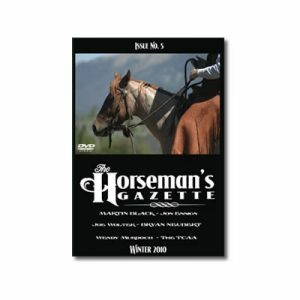 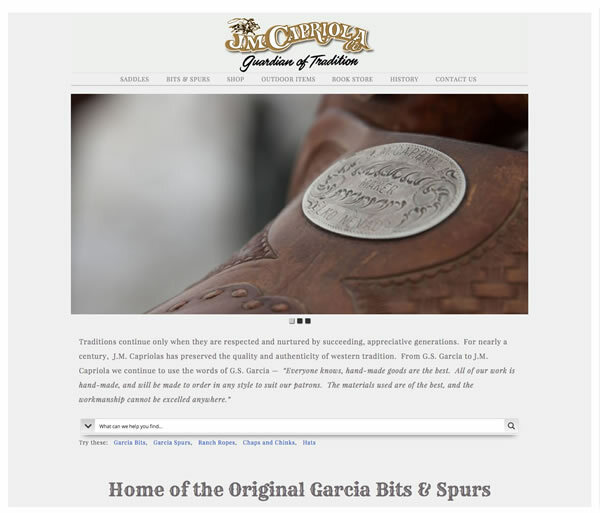 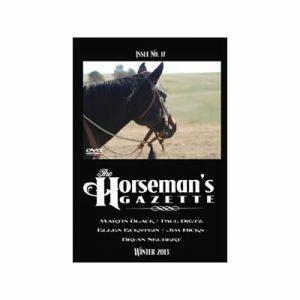 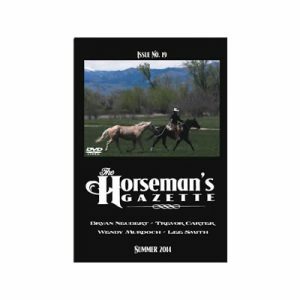 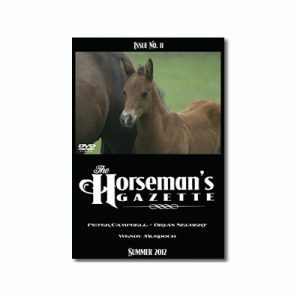 The Horseman’s Gazette is a powerful learning tool. 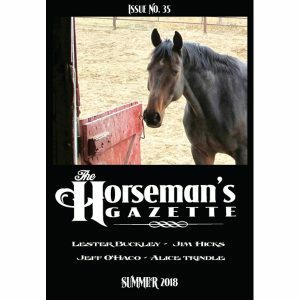 Some folks can learn effectively by just reading an article. That being said, there is no way for an article to capture a flick of the horses ear or that moment when the learning actually occurs with the horse as a result of the release that a trainer provides the horse for correct “try”. 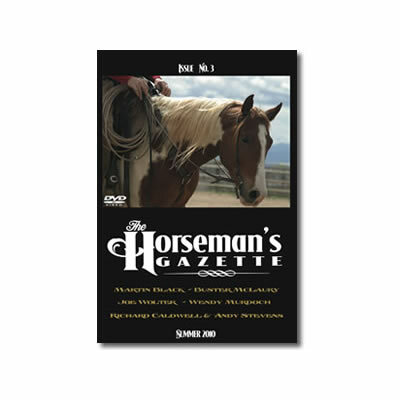 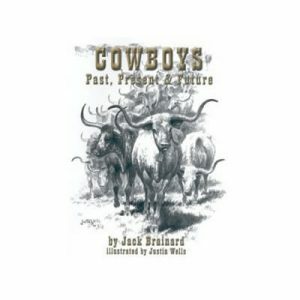 The DVD series is a wonderful supplement to the printed magazine for sure. 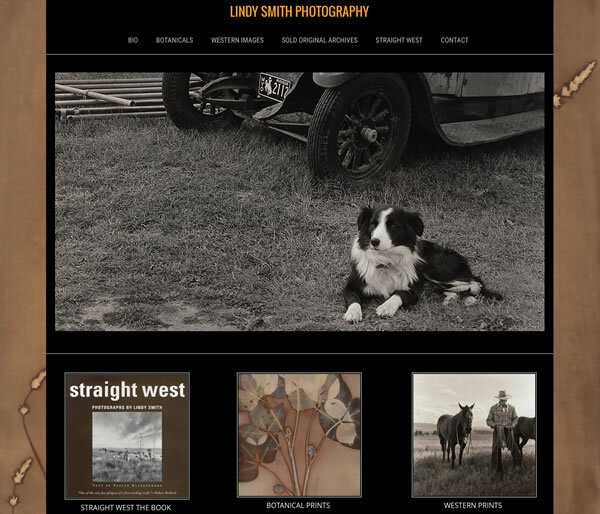 I especially enjoyed Wendy Murdoch’s segment on balancing your head and neck. 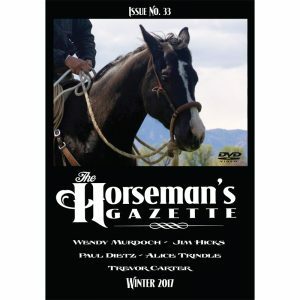 She truly has the heart of a teacher that comes across very clearly in the DVD presentation.